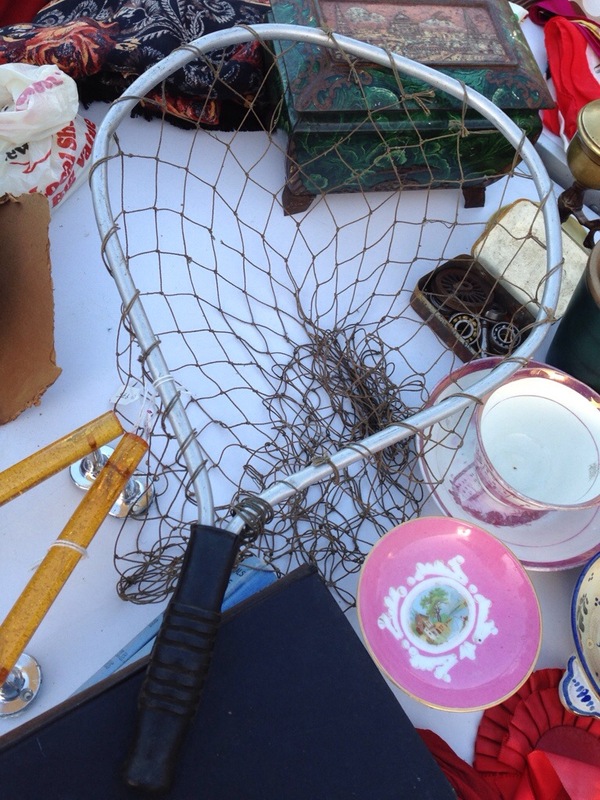 As the inclement weather persists there has been little opportunity to fish, nor has there been the opportunity to visit Sunbury Antiques Market, Wimbledon Car Boot and Mr Andrews of Arcadia has been off pitch at Spitalfields Market. What the rain has done is allow me time to search for books I wish to add to my collection and start to research more on rivers of the South West. During the week I managed to find two fishing log books that recorded a couples fishing on the Nadder, Itchen and Broadlands over a 6 year period from the mid 80’s to early 90’s. Over the next few days I will take snippets from these books and refer to them in my blog. May I apologise for the lack of posts of late but work and the weather is suppressing any fishing activity. However there have been a few lost and founds from the river to report, mostly vintage Abu lures that have found a new lease of life once the hooks have rusted and they have been allowed to run free in the strong currents. Let’s look forward to the warmer dryer days of spring. The rain pattered on the windows most of the week, there was little respite except for today. The news has been on the floods of the Somerset Levels and of further west towards Dawlish where the main rail link was washed away. During the week a red van turned up outside to deliver a Sharpes Braemar split cane spinning rod. It was in fine condition and will be used as soon as the rivers drop back to a fishable level. As there has been little chance to angel of late. 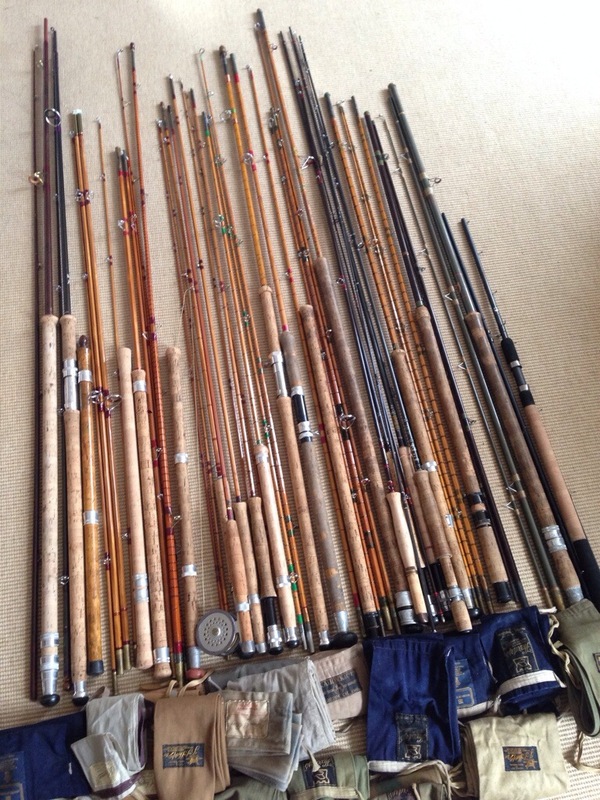 I took some time the other morning to check all the rods in the back hallway, the collection is still growing much to Mrs Tales annoyance. 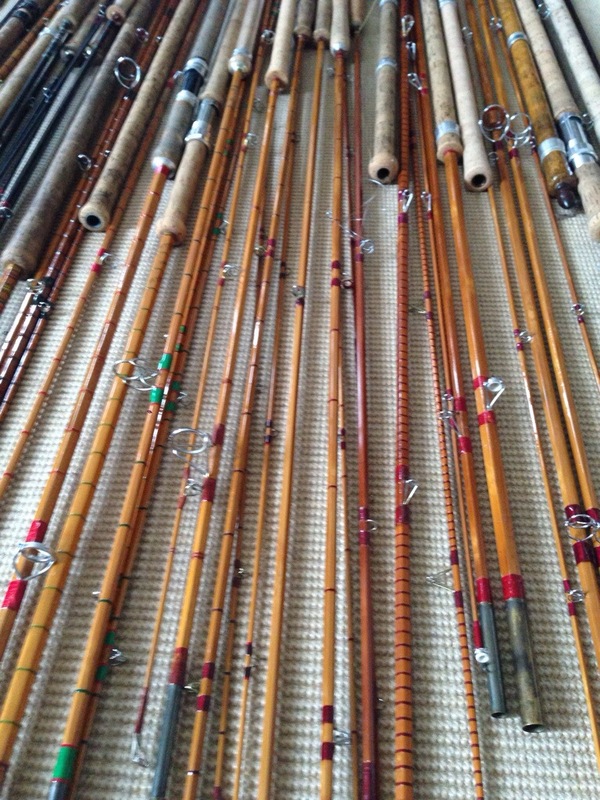 She referred to my rods as a collection of sticks also as to why I need so many. All have a function and with young Tales in tow we seem to have pairs. 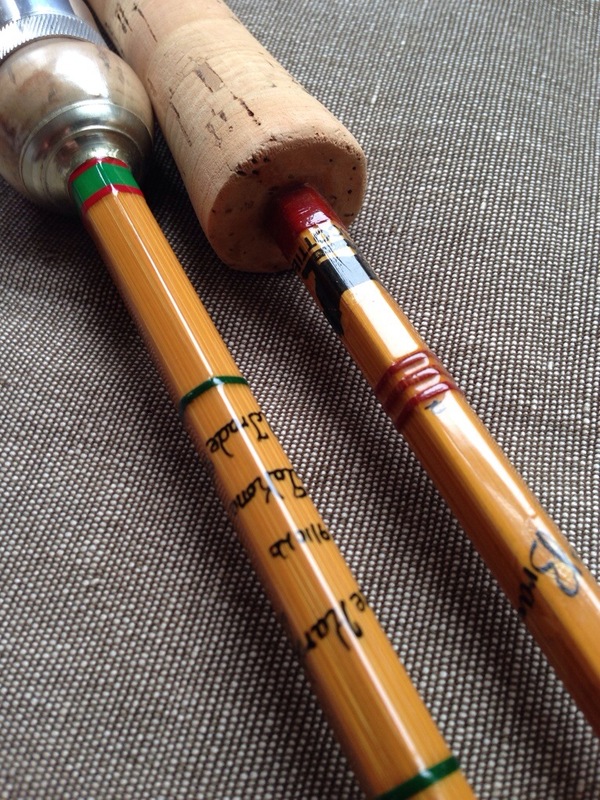 I know he is eager to spin for a perch or pike so hence the purchase of a small cane rod, however it may have been more prudent of me to purchase a 6′ graphite rod. 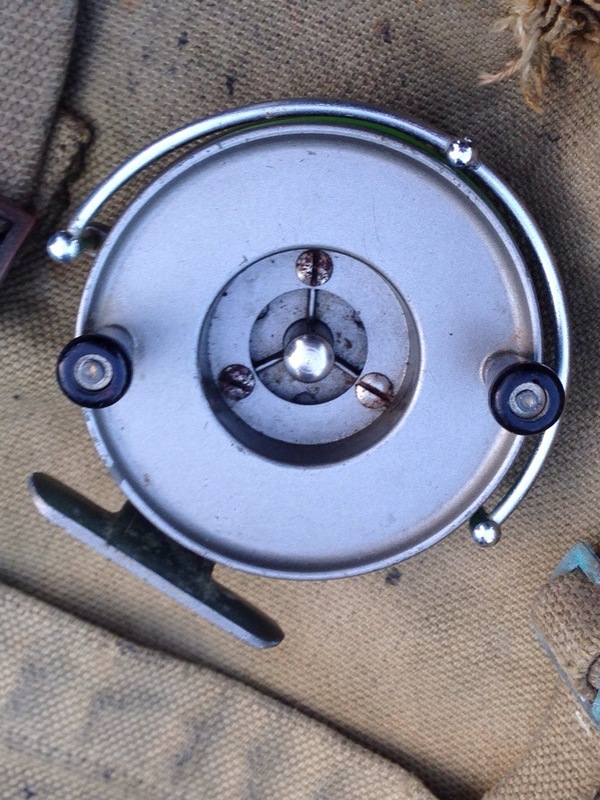 I was shown one when I visited The Tackle Exchange in Walton. The cost of the rod was a fraction under £40, would cask 7g-35g, had two tops and was capable of handling a good size bass or pike. I read an interesting post by thetuesdayswim on the loss of a Heddon River Runt lure that he was fishing on order to tempt a Lee River pike. 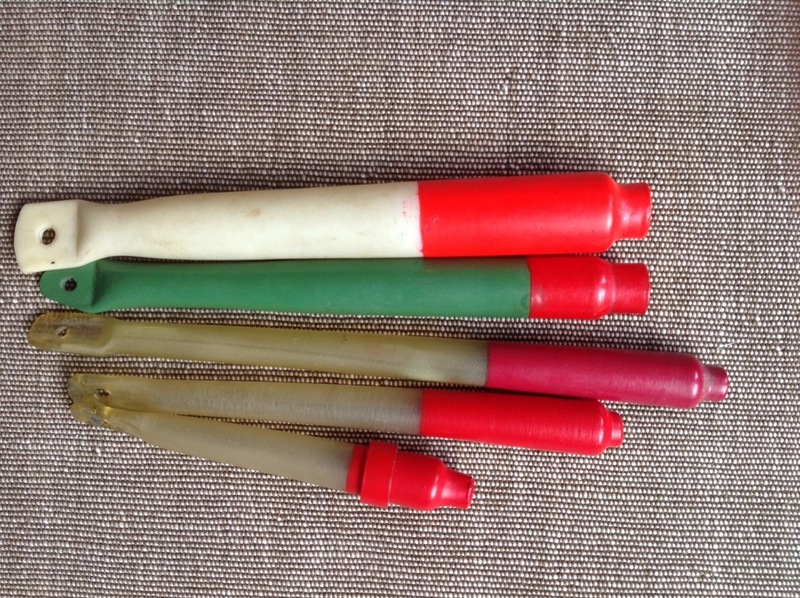 For most of us the loss of terminal tackle is annoying to say the least especially if it is a vintage lure or float. Unfortunately it tends to happen when on the retrieve you snag a subsurface branch. I posted a link to this story on my twitter feed. Today a visit to a friend in Lower Sunbury allowed me to check the flow of the River Thames and at around 10.30 am the water was rising quickly and at an alarming rate. A lady dog walker who lived close by had watched it rise over 4” in less than an hour, I could sense a level of concern regarding the hight of the river. Even with a slight change in the weather and clear skies forecast along with the unseasonable moderate temperatures there will be no fishing this weekend. As the sun slowly appeared over The Terrace I could feel its warmth on my face as I looked up towards the clear blue sky. I made my away over Barnes Bridge towards the old Civil Service Sports Club and onwards via Duke Meadows. The River Thames ran strong and deeply coloured as if made its way out and rowers pulled hard against the swirling current. After a brief and brisk walk I arrived at the Chiswick School where the monthly car boot sale was underway. There were fewer vendors as it was limited to the hard standing due to the recent rain, the football pitch that in summer months is full was being preserved so it didn’t end up as a quagmire for Monday. 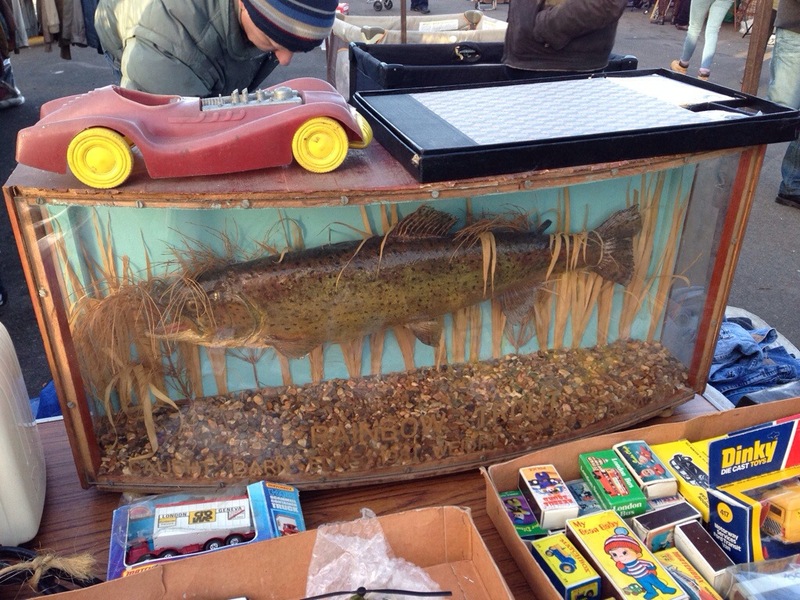 I was looking primarily for vintage tackle, celluloid floats, silk lines and fishing books. On first glance there was little on offer. 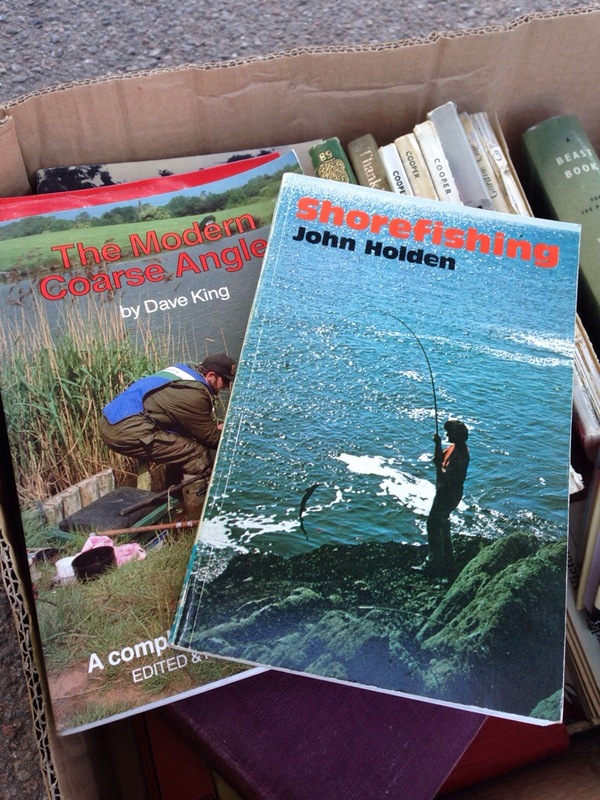 Rooting through boxes for books there were no titles that inspired, a few How To Fish books and one on shoreline fishing. At the far side of the sale was a table with a large cased rainbow trout caught in the early 80’s at Barn Elms now the Wetland Centre. This fine 6lb 8oz fish caught by P F Hookham a reminder of fishing days in the 80’s where you would delicately cast beneath the incoming planes to Heathrow. Further along the row of tables and open boots of estate cars and 4×4’s was a vendor with half a table of reels, a leather Gladstone style bag, a canvas army bag and a Three Nun tobacco tin. 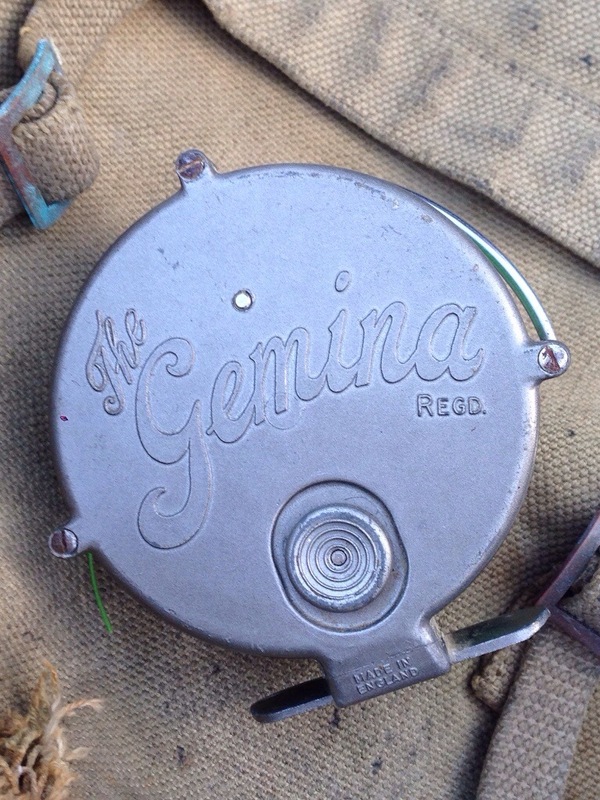 There were no reels that excited me however there was a very clean The Gemina reel spooled with a green medium sink line. 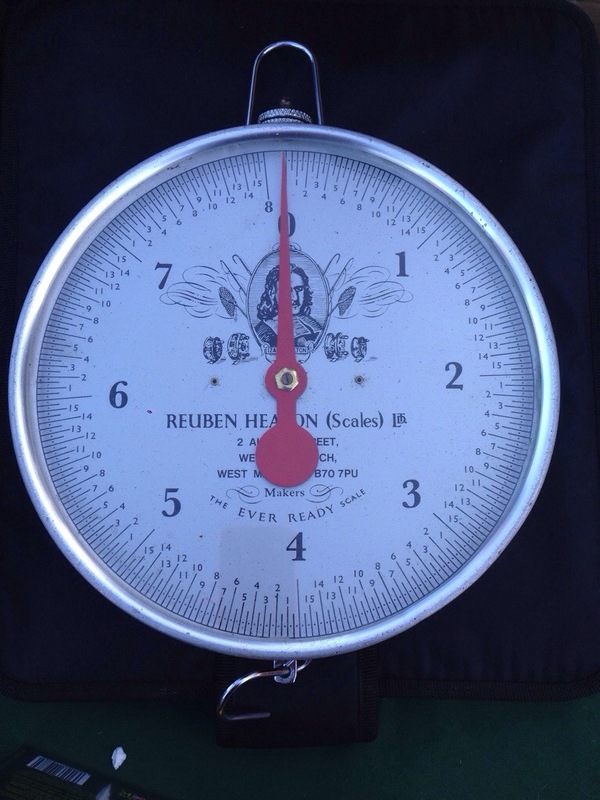 There was a fine Reuben Heaton set of scales for £40. In the end I parted with change for the tin that contained a mix of 16 fly fishing patterns and a couple of celluloid anti-kink vains for spinning. The next sale will be the first Sunday in March, what treasures will be found. Another day another package. At just after 10am the postman left a small Jiffy bag containing some more Percy Wadham’s celluloid floats. Simple in construction and a timeless icon of the sixties, these celluloid floats may grace the line of the traditional fisherman matched to a Speedia reel on a B James Avon Perfection or Chapman 500 sporting a Ambidex reel, images I remember from childhood. Alfred Barnes continued to make Wadham floats after the death of Percy Wadham. See the link below to part of the Barnes legacy of manufacturing tackle and fishing related items.